Mexico moved to the brink of the World Cup knockout rounds with a 2-1 win over South Korea in Rostov-on-Don on Saturday. 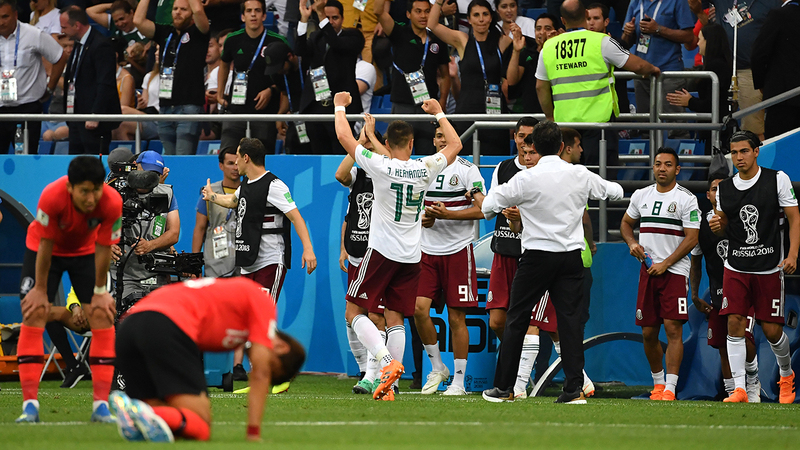 An early penalty from Carlos Vela put Mexico ahead, and Javier Hernandez’s second-half goal secured the Central Americans’ second straight victory after stunning reigning champions Germany in their opening game, despite a late consolation from Son Heung-min. If Germany fail to beat Sweden later on Saturday, Mexico would go through and South Korea will be eliminated.